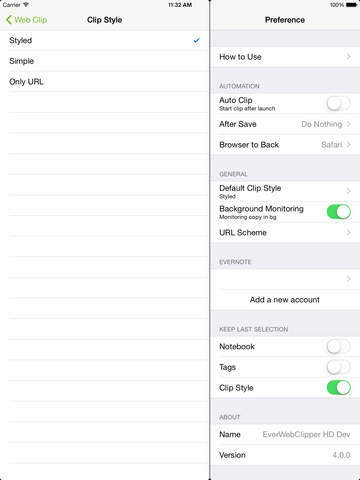 EverWebClipper HD is the easiest way to clip web pages from Safari App to Evernote. Save the actual web page to Evernote – text, links, images and all with a few taps. – Fixed a bug that the alert doesn’t show when user’s authentication expired.